How Does Collecting Rainwater Help the Environment? The easiest way to collect rainwater from your roof and send it into a rain barrel is to create an automated system using a Garden Watersaver Downspout Diverter. But once you set it up, what are the positive environmental benefits from creating and using a rainwater harvesting system on your property? – Rainwater harvesting can have a positive impact on the amount of energy used and carbon emissions created. Water, weighing 1 ton per cubic meter, is pumped around our cities and towns to wherever it is needed. Such water pumping results in energy use and carbon emissions from the local water treatment facility. Using a rooftop rainwater harvesting system reduces the use of the water system and its pumps for landscaping. – Collecting rainwater from your home’s roof reduces the amount of storm runoff that flows into a city’s sewer system. Excess runoff during unusually heavy storms often leads to the discharge of raw sewage into area waterways, especially when the local treatment plant cannot handle the capacity of the combined water flow. Collecting some of that water from the roof lessens the amount of water that makes it to the sewer system. – When water quality needs to be high for a specific garden, plant or flowerbed use, using a rainwater collection system eliminates any chemicals or treatments that are often found in city water. This benefits the soil quality, thus benefiting the environment. – A large volume of rainwater can be harvested from your roof even during a drought. 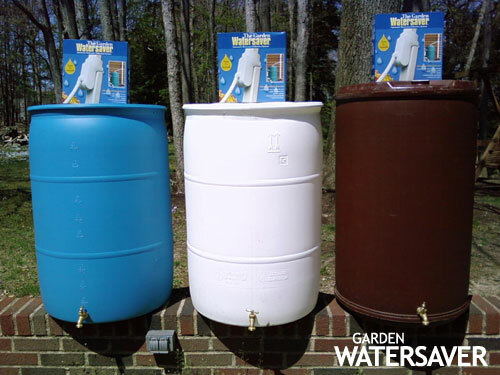 The rainwater that hits your roof area and flows into gutters and downspouts can be directed into above-ground rainwater barrels, creating an inexpensive (i.e. nearly free!) way of harvesting rainwater for later use. That leaves water in lakes, rivers and reservoirs for other ecological necessities. – Rainwater harvesting can ensure a water supply that is separate from a city or municipal water system during water-use restrictions. Even during a drought situation, a rainwater collection system produces enough water runoff collection to allow a homeowner to water plants, flowers, gardens and lawns whenever necessary. 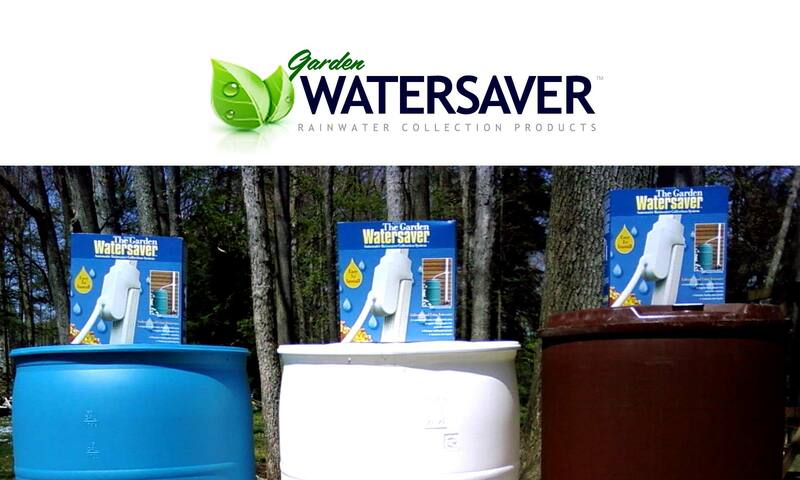 – Rainwater collection systems are simple to install and easy to operate with the right pieces (yes, we are talking about the products of Garden Watersaver!). There is no outside energy use required that will affect the environment. – And finally, there is no cost to run a Garden Watersaver rain barrel water collection system once it is installed. That may not be a true ecological benefit, but it certainly benefits your household finances!